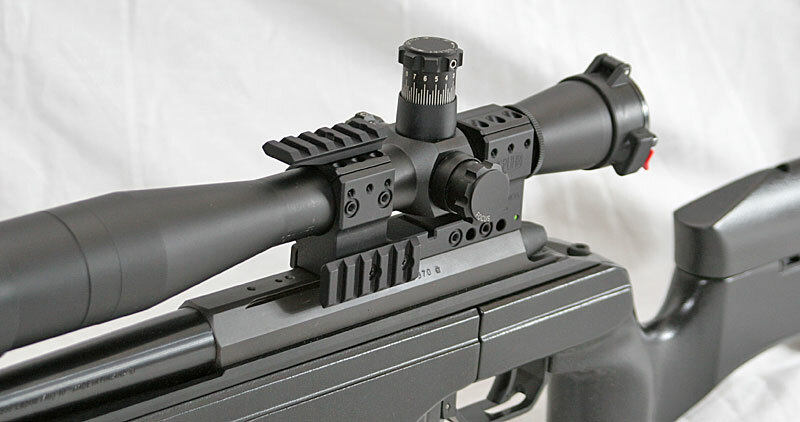 For the most part the general concept of scope mounting has remained pretty much unchanged for many years now. 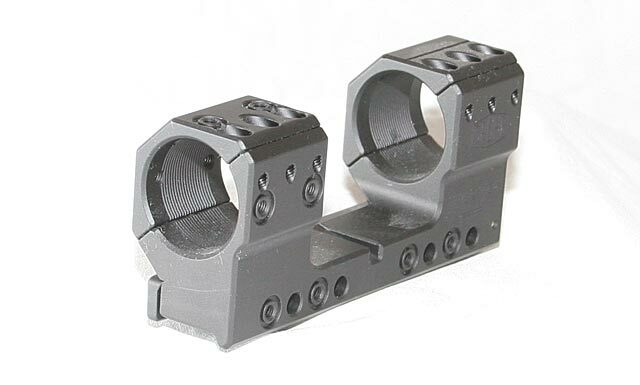 The advent of the MIL-STD-1913 rail or STANAG 2324 rail, commonly known as the Picatinny rail, was probably the most note worthy new development in terms of optical mounting technology in recent memory. Though, even that big development was simply the adoption of a standard, or universal, mounting system for all NATO countries and is similar to design and theory to the “Weaver” bases, just implemented in a “rail” design and with slightly different specifications for the slot sizes, etc. And then there is the concept of the “Tactical” bases and rings which essentially are very high quality and very robust rings and bases, usually of Picatinny dimensions, that are typically designed to withstand the rigors of combat and field use. This also has been an important development over the past two plus decades. Some of these are made with various types of steel; others with various types of Aluminum or even titanium alloys, and all are typically made to very high standards. It is rare that something totally new comes along in terms of optical mounting devices, but occasionally something new comes along that takes some really well thought out concepts and adds some very good engineering to it and develops a mount that makes you say, “gee, that is pretty slick, why didn’t anyone think of that before?” That is exactly what we thought when we were first presented with some design drawings and engineering CAD models of the SPUHR Ideal Scope Mount System (ISMS). The beauty of the mount is not that it is totally revolutionary, but that it is very evolutionary in taking what we already knew and applying some other clever ideas and combining it all into a mount made with very high quality engineering and manufacturing. Hakan Spuhr sent along some pre production images of the initial design and they looked very well thought out, but we have seen many promising designs on paper, so we provided some comments and left it at that. The surprising part came a few months later when there were actual photos of the mounting system, no longer just something on the computer. At this point we started to take notice and paid attention and then the units entered production. Spuhr is located in Sweden and as such getting the units into wide scale distribution in the USA and around the world takes time. But eventually we received a version of the ISMS for a Sako TRG-22/42 in 30mm version with 7MIL (24 MOA) cant to it. 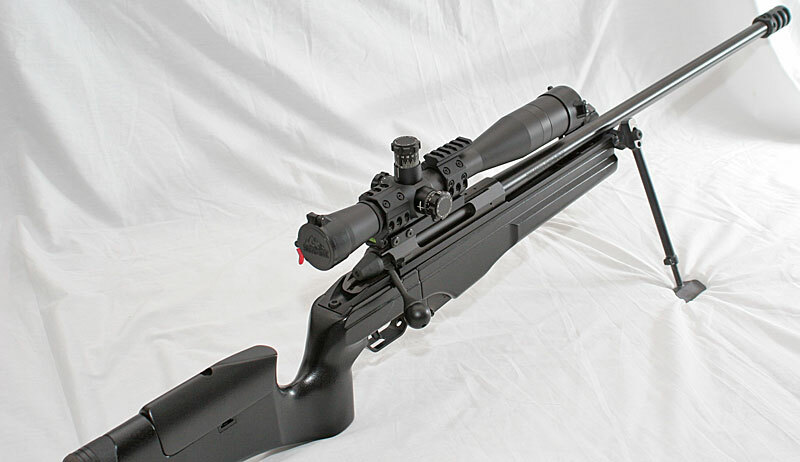 The ISMS right now (in 2010 & 2011) comes in a few different base versions including models for the Sako, AI, Steyr and SIG Sauer SSG rifles in 30 or 34mm and with varying heights. But they are a small enough company that they will indeed custom make these units for special orders to include specific heights for night vision requirements, etc. We have a Sako TRG-42 in 338 Lapua here at the shop so we elected to try one of their Sako units in 30mm which would work well with the Leupold Mark 4 16x scope we have mounted on the Sako. The Mark 4 16x is specifically tailored for long range shooting applications and has 140+ MOA of elevation adjustment and combined with a canted base provides an excellent combination for the 338 Lapua, especially using the 300gr ammo that is available now. One of the standard cants for the SPUHR ISMS was 7 MIL, or roughly 24 MOA and this is what we received for test and evaluation. The unit itself is made of high quality 7075 aluminum to keep weight down and is finished in what SPUHR indicates as a “sealed hard coat” finish. The overall quality of manufacture is very impressive and everything feels high quality and goes together beautifully. After our first inspection of the ISMS we were very impressed with the overall quality of the product. The unit is a single piece “unimount”, or “direct mount”, style that is configured for a specific rifle. Initially this is rifles with dovetail style grooves on the receiver as is common with European built rifles like Steyr, Sako, SIG, and others. They do have, or can make, units that will attach to a Picatinny rail, but you end up adding some height to the unit and adding an additional piece of hardware to the overall system. But, here in the USA where rifles are typically “drilled and tapped” for bases and do not have integral scope mounting dovetails in the receiver, the rail interface version will need to be used. I have not heard of any plans to make a Remington style direct mount version such as Nightforce’s, but with demand or a decent sized order placed, they may consider it. 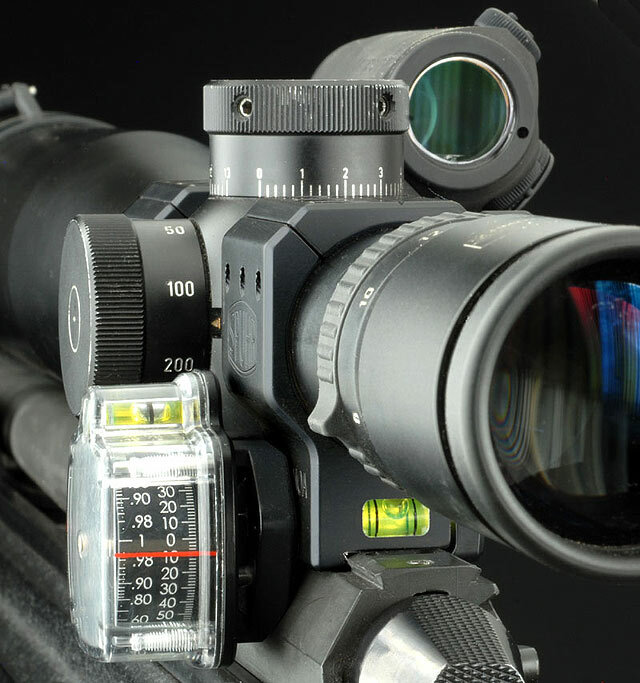 SPUHR has also designed and created an innovative little tool that is used for indexing, or leveling, the scope in the mount to aide in insuring the scope is perfectly square to the rifle. For those of you that have mounted a decent amount of scopes, this is a constant challenge and the patented little tool is a great help here. With the ISMS unit mounted to our Sako using the provided instructions (there is actually nothing out of the ordinary for this style of mount) we became acquainted with several of the nice features of the ISMS as we mounted the scope. The Rings are split at a 45 degree angle which allowed them to create a flat top and side to the rings, almost in a square shape. This allowed SPUHR to implement some neat features that we found quite useful. The obvious one is the ability to drill and tap the ISMS itself in various locations to mount small Picatinny rails wherever needed. The ISMS provided for our evaluation included two of the rails and more, obviously, are available if needed at an extra cost. There are seven different locations for the mounting of the rails which also include two 45 degree areas at the “top” of the rings. With seven mounting points strategically placed, there are many options that should accommodate just about any need. Some various items to attach would include angle meters (cosine indicator), night vision support brackets, auxiliary or backup optical sights for close in encounters, laser designating devices, tactical lights (um, well, I guess you “could”, not that you “would”), and any future devices that might be coming out. The flat areas on top and right are great in that they are low, or thin, and help to provide a minimal amount of area to obscure the operators look at the scope knobs. But on top of that, one of the unexpectedly simple, but effective, ideas was to have lines milled onto the top and right side flat areas to be used for an indicator line for the scope. 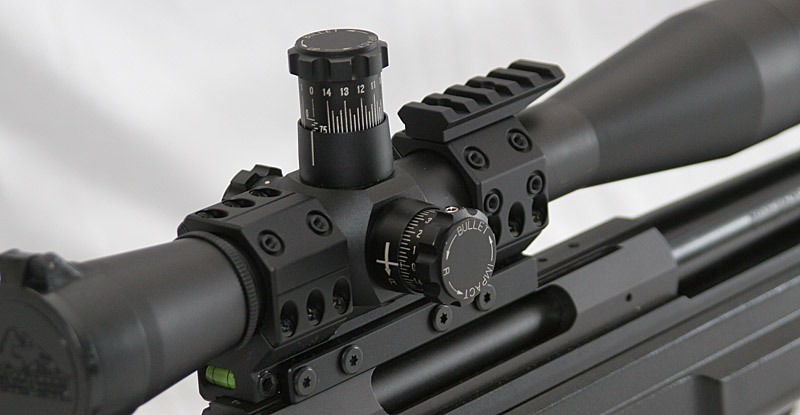 This is especially effective for scopes with low profile style knobs, unlike the M1 knobs on our Mark 4 scope, where the indicator mark for the knobs may be obscured. When using the ISMS with other scopes besides our Mk4 16x, this proved to be very handy and effective. I would like to see this simple idea catch on with other manufacturers. One of the other features of the ISMS we found handy was the integrated bubble level at the bottom of the unit. 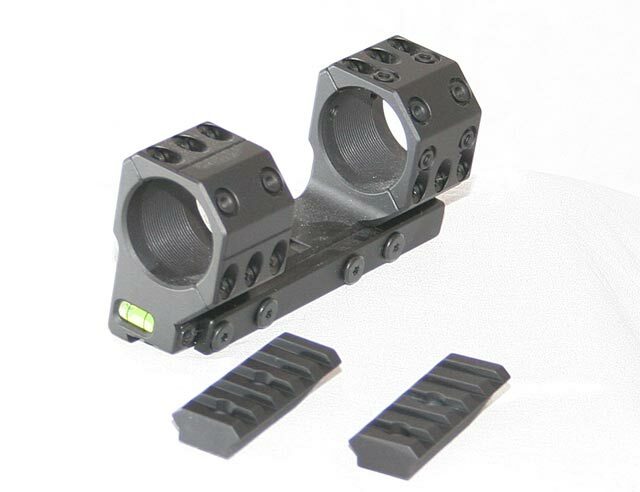 This level is mounted low enough to be easily seen with a quick glance when behind the rifle and it is nicely integrated to provide no external appendages to get in the way. It also places it close to the top of the rifle action where it will provide an accurate reading of the cant of the rifle and scope. Again, while this is not a unique idea, it is nicely thought out and well implemented. As you might expect from a high quality unit, we had no difficulties with any of the shooting we have performed and we have high confidence that the ISMS will hold up well. For our particular setup I would prefer a bit lower ring height though the current arrangement does allow for the accommodation of large night vision devices to be used if we decide to go that route. If we did want to go lower, it would just be a matter of ordering a lower height when placing the order with SPUHR. The retail price of the ISMS runs about $400 (USD) which is a bit more than a Nightforce unimount/direct mount, but it has all of the additional features including the rails, level, flat top and sides and other pluses. The ISMS is now available from a few locations here in the USA as well as other locations around the world. They do plan to be at the 2011 SHOT show so they are branching out and they also have several other mounting devices and accessories; and if the quality is as nice as the ISMS, they would certainly be worth looking at. Overall we are very impressed with the ISMS and if you are in the market for a very flexible, well thought out piece of kit for the next or current rifle system, this is one unit you will want to take a look at. SPUHR factory photo showing the potential of what can be done. I have a Troy rail handguard on top of the Springfield m1a nm and needed into the black feather chassis. I’m needing a dark earth pic rail bullet mount 1″ to enable the 54mm lens to have clearance to the rifle rail. Can you help? what is the best rail system for an m1a? I’m leaning for a sadlack or sei but not sure.